Willow and Little Pig Pink prepare to celebrate Christmas with their friends and the animals on Paradise Farm. 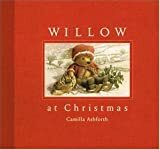 This entry was written by saurabh, posted on May 14, 2010 at 9:22 am, filed under Baby-3 and tagged 4 - 8 años, Ages 3-5, Baby-3, Binding (binding), Camilla Ashforth, Candlewick, Christmas, Fiction, Hardcover, Holidays & Festivals, Printed Books, Refinements, Unlaunched Refinements. Bookmark the permalink. Follow any comments here with the RSS feed for this post. Both comments and trackbacks are currently closed.